Collecting inventory, managing assets, and product validation are just some of the many tasks that all businesses need to conduct to stay competitive and profitable. Having the right tools to remain efficient are essential today. The new Unitech SRD650 is the ideal solution for many businesses as it’s more than just a data collector but a complete data tracking system. With pre-installed common applications for inventory and asset tracking and an easy to use no-programming-skills-required application generator for more customized needs, it can support any data collection needs. For more information or to order an SRD650 Solution, contact us at BarcodesInc. 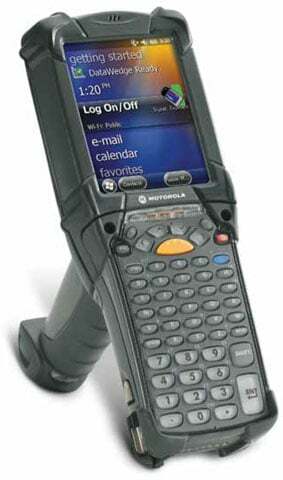 As a primary leader in the Auto-ID industry, Motorola’s products span from handheld scanners to mobile computers, RFID, and even the wireless infrastructure these devices operate on. With an extensive history of technological innovation, Motorola produces devices that go beyond being a simple tool and become an integral part of your business. This infographic is a easy guide to the range of mobile computers Motorola offers. From basic inventory collection unit to fully rugged mobile devices designed to meet the most demanding of environments, Motorola has a mobile computer to fit any application. Motorola continues their line of rugged mobile computers with the new MC9200. The MC9200 is the next generation rugged gun-style mobile computer in the MC9000 Series, the industry leading gold standard for mobility in demanding environments. You get the same signature features that make up the foundation of every MC9000 Series mobile computer – rugged design, best-in-class bar code scanning and dependable operation – now with the power to run today’s highly-intuitive applications to help increase productivity and task accuracy in your warehouse, manufacturing plant, airport or military bases. Added support for 802.11n, the fastest Wi-Fi connection available today, allows you to give your workers the best possible wireless voice and data experience. The MC9200 is built for your toughest environments, delivering reliable performance in spite of drops or exposure to subzero cold, extreme heat, dust and splashing liquids. You can mix and match six different types of scan engines and keypads to create the device that delivers the best performance on the types of bar codes in use in your facility – and the easiest data entry for your users. The LDX10 is the next generation of handheld computers from AML. Like all AML products, the LDX10 is engineered, manufactured, and serviced in the U.S.A. 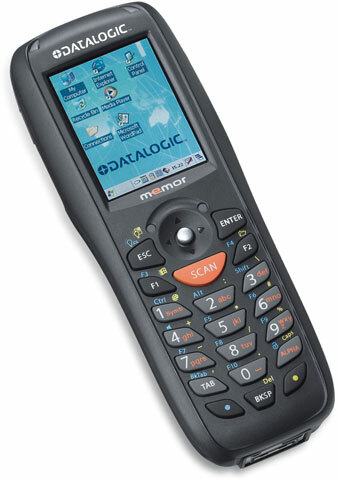 It is an ultra-low-cost handheld computer, with integrated barcode scanner, specifically designed for light-duty commercial applications such as inventory control and asset tracking where acquisition cost is a driving factor in the selection of a data collection device. Every LDX10 comes not only with an affordable price tag, but with AML’s DC Suite software. DC Suite contains seven common barcode data collection applications already pre-loaded onto the device. Most users will be able to simply charge the battery, select the DC Suite application that fits their needs, and go to work. Collected data can be easily uploaded to any Windows PC using a USB cable and the DC Sync upload utility which is available to download at www.barcodepower.com. For more information or to order a new LDX10, contact us at BarcodesInc. University of Phoenix Stadium is home to the NFL’s Arizona Cardinals and also host to various conventions, trade shows, and concerts each year. The scoreboard production department is responsible for putting on not only the 10+ Cardinals football games each fall but they are also tasked with an additional 100-200 sports, entertainment and trade show events a year. Nick Heller, scoreboard production assistant at the stadium, works with a crew to run the audio and video boards for all games, shows and events that take place at the stadium. To successfully run these events, Heller and the Scoreboard Production department work with large amounts of expensive production equipment, including television cameras, truss structures, speakers, and microphones. The cost of the equipment needed to run the scoreboard show for the Arizona Cardinals football games or put on events such as the University of Phoenix graduation ceremony is extremely high. Any given day, $10,000 to $100,000 of equipment will be used depending on the event. Trenor Group is a fashion retailer with a franchise of brand stores. The company was founded in 2000 and is headquartered in Stockholm, Sweden. Thanks to an agreement with British fashion company Arcadia Group Ltd., a British retail giant in fashion, Trenor has a portfolio of many different brands, including the widely known TOPSHOP and TOPMAN. Both the TOPSHOP and TOPMAN retail stores used a solution for store inventory management that required a lot of work and that was very time consuming. Every time an inventory procedure needed to be performed, someone from the head office would have to bring a laptop with a specific integrated application to each store, along with another terminal for wireless data transfer. These devices needed to be set up for use in the specific store, and the inventory process could finally begin. Janam has announced the release of its new XT85, a high-bandwidth wireless rugged mobile computer designed to support demanding enterprise applications in equally demanding outdoor environments. The ability to deliver products with the right features at the right price sets Janam apart from its competitors in the rugged mobile computing industry. Janam’s XT85 follows suit, offering the complete set of features enterprises require in a rugged wireless wide area device, at a price point that makes extending enterprise mobility beyond the four walls more affordable than ever. The XT85 survives multiple 5′ drops to concrete at temperature extremes (and 6′ drops at room temperature), offers a full 3.5″ high-transmissivity display that maximizes outdoor readability while minimizing power consumption, maintains Janam’s reputation as provider of the industry’s fastest computing platforms, offers advanced 4G-ready cellular network connectivity with five-band UMTS for true global roaming and yet is far smaller and lighter than any device with a similar specification. With all of the options available on mobile computers today it can be a real challenge choosing the right one for your application. Concerns like ruggedness, wireless communications, operating system, and scanner type are key to ensuring the unit you choose will perform well for you. Luckily, we have a great buying guide to help make the process easier – Mobile Computer Buying Guide. This guide will cover the essentials so you can have a clear picture of the type of device and the features you need. Once you know what you need from the device choosing a suitable model is easy! As with any product, if you have any questions or need any help feel free to contact us.